The Texas Tech University School of Law Library (“Law Library”) is the largest legal information center in the area covering western Texas, eastern New Mexico, and southern Oklahoma. The Law Library and its staff serve and support the educational, instructional, and research needs of the School of Law. The Law Library’s website offers information about library hours, staff, services, programs, and access to electronic databases. The staff constantly updates the website with new information. Go to http://www.law.ttu.edu/lawlibrary/ to see all that the library has to offer! Everyone is welcome to use the print resources of the Law Library. However, some of the Law Library's online resources (e.g., Westlaw, LexisNexis) are available only to Texas Tech Law Students and Faculty Members. If you are not a Texas Tech Law Student or Faculty Member, the Law Library offers alternatives to those sources for your use, such as LexisNexis Academic. Use certain equipment such as: public access computers, scanner on the 1st Floor, and printing services. Ask questions and receive assistance from the Law Library staff. Law School ID cards provide law student and law faculty access to the Law Library 24 hours a day, 7 days a week. The Library is open to the public and members of the legal community during regular operating hours. Please Note: Special hours are set for holidays and inter-session periods. For updates, visit the Library’s website or the Library Hours calendar. Sunday 1:00 p.m. - 12:00 a.m. This Location Guide facilitates access to major sets of materials without call numbers. 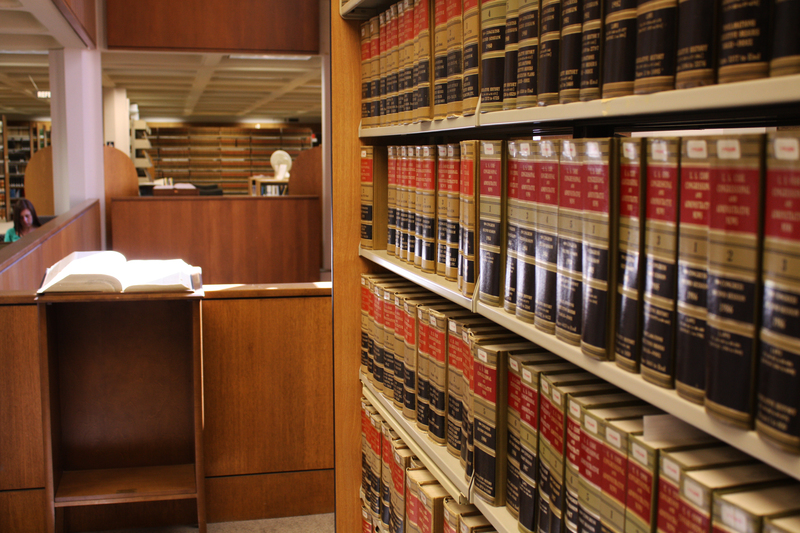 This website provides access to the Law Library's catalog, collection, and course reserves. This website provides access to the main campus library's catalog, ejournals, and databases. This catalog includes access to special collections, digital collections, oral history, exhibits, and Texas Tech University Archives. This website provides access to the TTUHSC Schools of Medicine Library's journals, catalogs, databases, and ebooks. This website provides access to the Architecture Library's materials on architecture, design, urban planning, and landscape architecture including an Image Library of digital collections on architecture, art, and design.